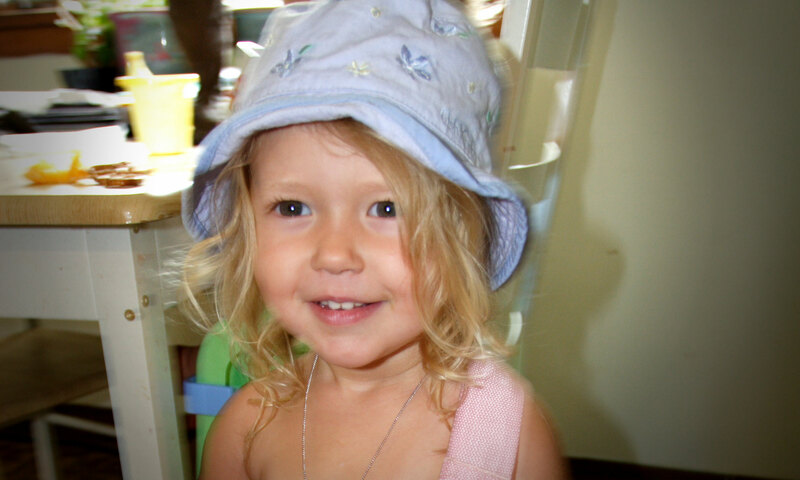 On April 9, 2007, Josie Alise Greenwood, the 3-year-old grand niece of VG Publisher Alan Greenwood, died of Acute Lymphoblastic Leukemia. As you may imagine, it was devastating to her family. They formed Team Josie, which participates in the annual American Cancer Society Relay for Life and to date have raised more than $33,000 for the Society. 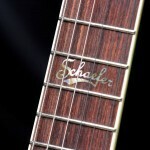 This year, Team Josie is raffling a Schaefer Guitars Hamilton Headless donated by Schaefer Guitars. 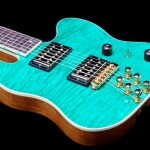 Please consider purchasing a ticket – it is for a very good cause and you may acquire a very fine instrument. All proceeds will go to the American Cancer Society. CLICK HERE to purchase a $50.00 ticket. 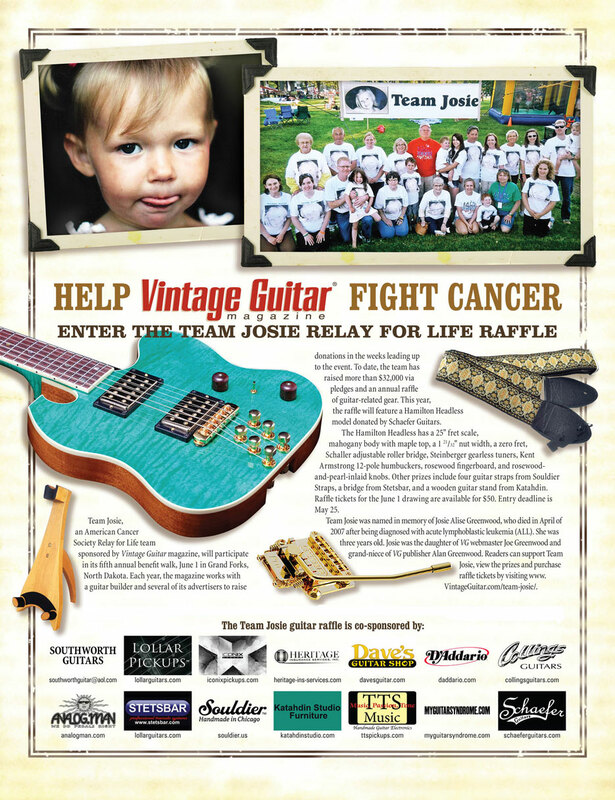 Each year Team Josie participates in the American Cancer Society’s Relay for Life event in Grand Forks, North Dakota. If you would like to help in the search for a cure for cancer, your donation is very much appreciated. All proceeds will go to the American Cancer Society. 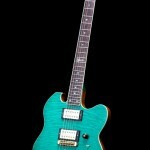 The Hamilton Headless has a 25″ fret scale, mahogany body with maple top, a 1 21/32″ nut width, a zero fret, Schaller adjustable roller bridge, Steinberger gearless tuners, Kent Armstrong 12-pole humbuckers, rosewood fingerboard, and rosewood-and-pearl-inlaid knobs. 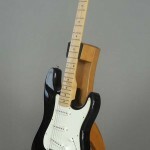 Padded embroidered gig bag by Colorado Case Co.
Katahdin Studio Furniture’s Flagstaff II Guitar Rest is designed for solid body electric guitars. 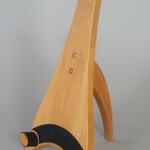 The contemporary trapezoidal backplate is sculptured from a thick slab of select American Black Cherry. All contact points are felt covered, and there is a “pick” tray on top of the yoke. Dimensions: Approximately 11” wide at base, 12” deep, 25” high; Distance from Soundbox Pads to bottom edge of Yoke is approximately 19 1/2”. Handrubbed Oil Finish. As always… Made in Lewiston, Maine USA. 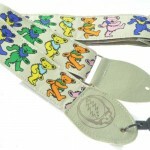 Officially licensed by Souldier, the ‘Dancing Bears’ pattern is one of the iconic Grateful Dead images. 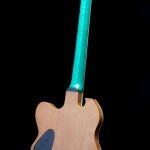 A 3″ bass strap. 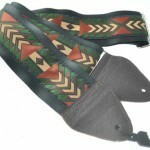 Geometric design in earth-toned forest gree, brown, tan, and burnt orange on black seatbelt. Dark brown ends and rounded silver hardware. 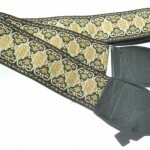 The intricate design is has hints of taupe and tangerine with gold and silver metallic threads woven throughout. 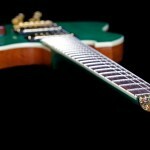 This strap reflects light well on stage and is quite the eye catcher. 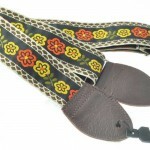 One of the most recognizable Souldier guitar straps. Yellow and orange marigolds on black with a brown scalloped border. Guitar courtesy of Schaefer Guitars; guitar rest courtesy of Katahdin Studio; guitar straps courtesy Souldier Straps; Stetsbar courtesy of Stetsbar; all other prizes courtesy of Vintage Guitar magazine.